The Dragon's Lair / Space Ace / Thayer's Quest score display uses two controller chips (Intersil's ICM7218D) to drive the 7-segment displays. But the designers of this chip broke digital rules in order to save a control pin. They wanted 3 modes of operation: Hexadecimal, Code-B (which the game uses), and Power Shutdown. 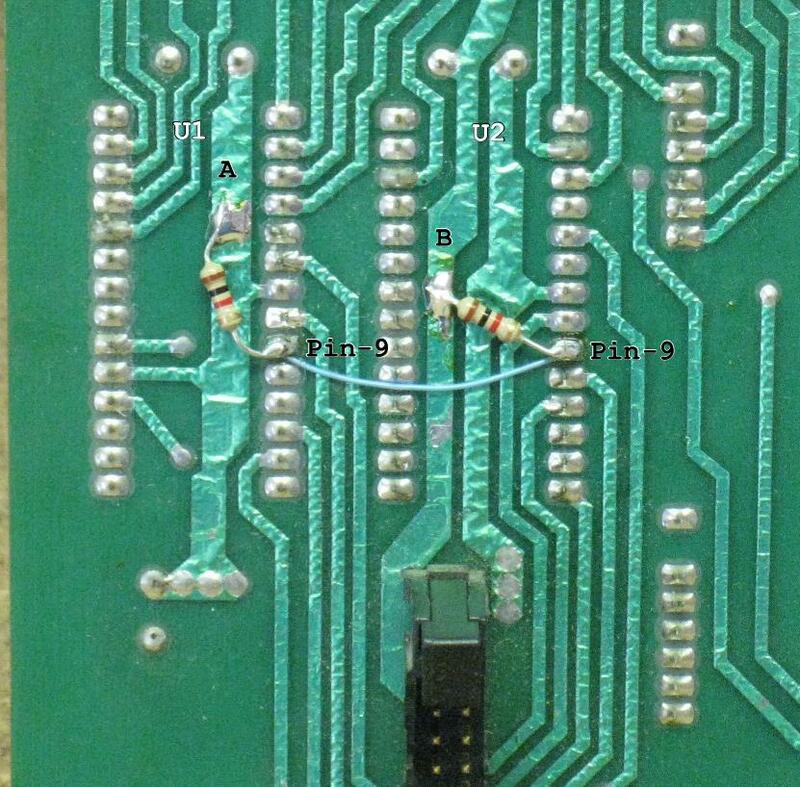 To get 3 modes of operation, they made it so that if pin 9 is held high, you get hexadecimal, if it is held low, the chips power down, and if it is not connected at all, it operates in code-B. Well, that's breaking the digital rules. An input control pin should always be held either high or low. 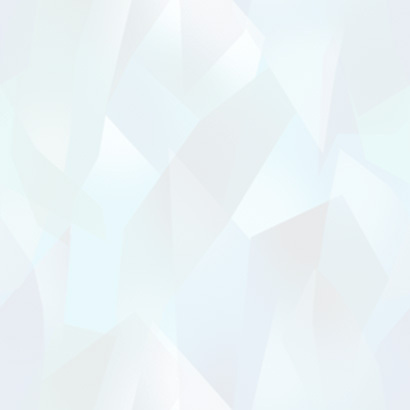 This not-connected (floating) condition is not normally allowed, and that is where the FFFFFF problem comes from. The controller chip has an internal voltage divider that holds pin 9 at 2.5V when nothing is connected to it, allowing the display to operate normally. But after 30+ years the internal resistors can vary to the point where the voltage on pin 9 is too high and the controller shifts into hexadecimal mode. 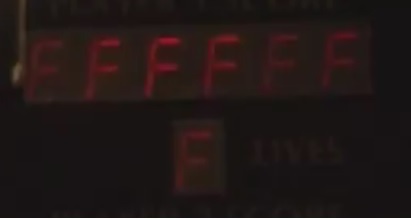 Thus when a command is sent to blank a digit (off), the controller displays it in hex as 'F'. The fix is simple enough. Build an external voltage divider to force pin 9 back to 2.5V. I use 1K resistors. Gently scratch away a small bit of the green protective coating from the back side of the score board at locations A and B (see picture). Apply a small amount of solder to the exposed area. Cut the leads on the two resistors to approximately 1/4 inch and solder them from each pin 9 to the exposed solder points. Finally, install a jumper wire to connect U1 pin 9 to U2 pin 9. That's it. Problem solved. Enjoy! With respect to documents available from this server, neither the author nor The Dragon’s Lair Project makes any warranty or assumes any legal liability or responsibility for the accuracy, completeness or usefulness of any information, apparatus, product, or process.